Founded in 2010, Trilion Capital has been providing hard money loans to real estate investors, builders, and developers throughout Southern California. They have funded 400 loans amounting to $250 million up to date. Trilion Capital offers customized rates and terms. They have an A+ BBB rating and they are rated 3 stars on Facebook. 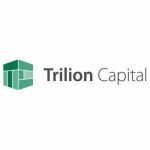 Work For Trilion Capital? Claim This Page.